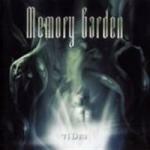 MEMORY GARDEN is something of a Swedish doom institution. They seem to be celebrating that 13 years have passed since they released their debut, and perhaps that their re-union album “Carnage Carnival” got a nice reception in 2008. “Tides” has been out of print but is now released by Vi Records with new cover art, some demo tracks and a remastering by Mike Wead (ex. KING DIAMOND, BIBLEBLACK). 1996 was no big era for Swedish doom, but that did not stop MEMORY GARDEN. Stefan Berglund, vocals, Anders Looström and Rick Gustafsson, guitars, Ken Johansson, bas, and Tom Björn, drums/piano, were set to make their vinyl debut. Stefan´s voice and the entire sound make them a tad similar to Leif Edling & Co but not too close for comfort. Swedes are supposed to sound Swedish, and doom does not need to be played at snail pace. That is proved already in opener “Genesis”. They do nothing to change that concept in “Dream Horizons”, which is sensible. Anders and Rick dedicate themselves to little duels or solos with heavy backing. Toms drumming are rather neat, like the Swedish word “lagom” which can´t be translates into sufficient. Some double bass drumming provides some uniqueness in the genre. The usual features are there; “The Rhyme of the Elder” hints at H.P. Lovecraft, the pharaohs get theirs in “Trapped at the Pharaohs”, the rest are in a suitable pace and seemingly set in a twilight society. The atmosphere was there already 13 years ago, hinting at what was to come. The lengths of the songs are a bit of an obstacle, the trick is to keep up interest through out all the verses. They are not quite as melodic and speedy as CANDLEMASS but still far from the tedious slowness of the likes of ST VITUS. But the shorter tracks are the ones I´m most at ease with, e.g. “The Innocent Sleep”. But this was a debut and not a product of an experienced band. “Bliss” sticks out as totally enigmatic with its dominating piano. Their career has been ongoing for a while and with such a tasteful start they are bound to be a going concern for many years.